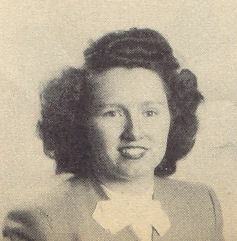 C/N Billie J. Phenix, daughter of Mr. and Mrs. J. W. Phenix, graduated from Frederick High School. Entered Cadet Nurse in Sept. 1945, trained in Parkland Hosp., Dallas, Texas; is now on duty there. (as per original 1940's publication).